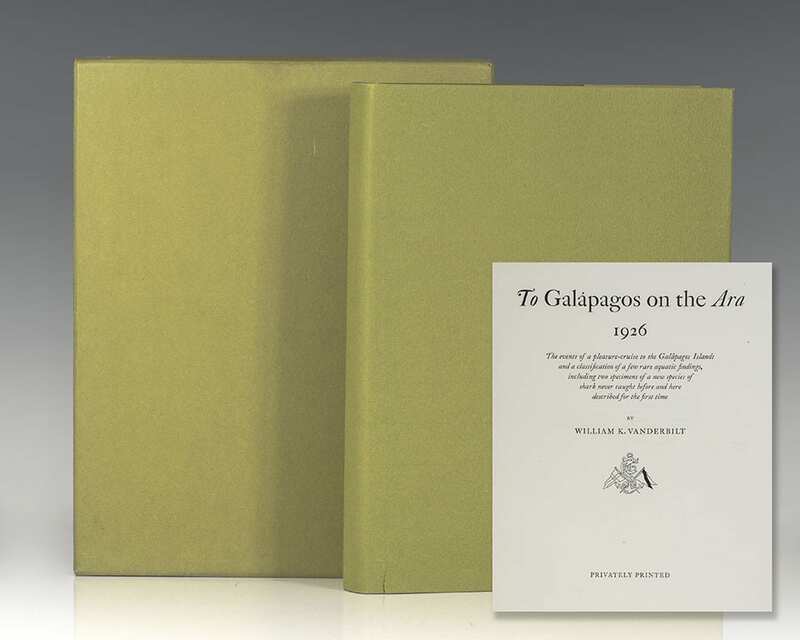 To Galapagos on the Ara 1926: The Events of a Pleasure-Cruise to the Galapagos Islands. New York: Privately Printed, 1927. 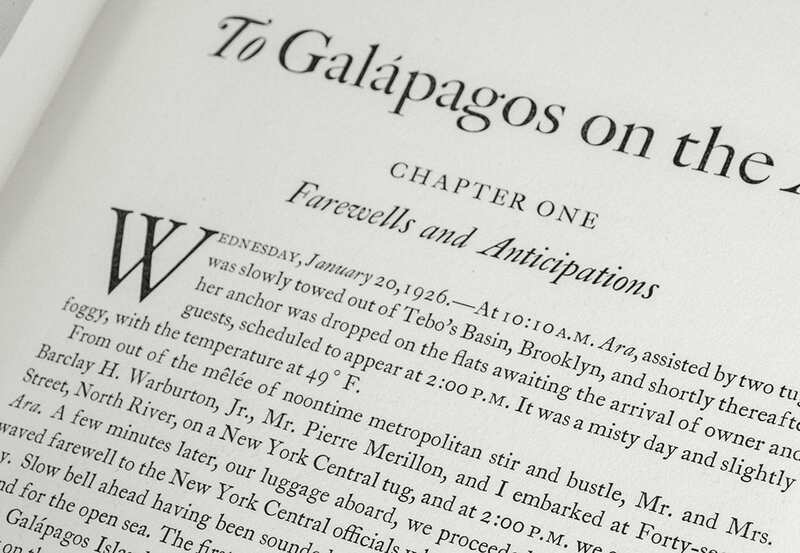 First edition recounting this portion of Vanderbilt’s voyage around the world aboard the diesel yacht Ara. 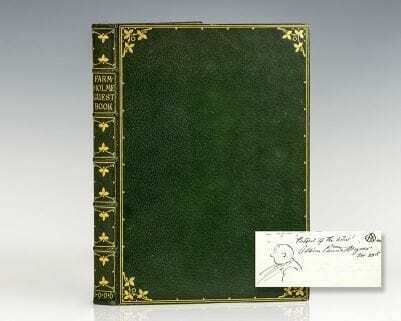 Folio, original green buckram, top edge gilt,illustrated with engravings after photographs by the author and color plates with lettered tissue guards after watercolors by William E. Belankse. 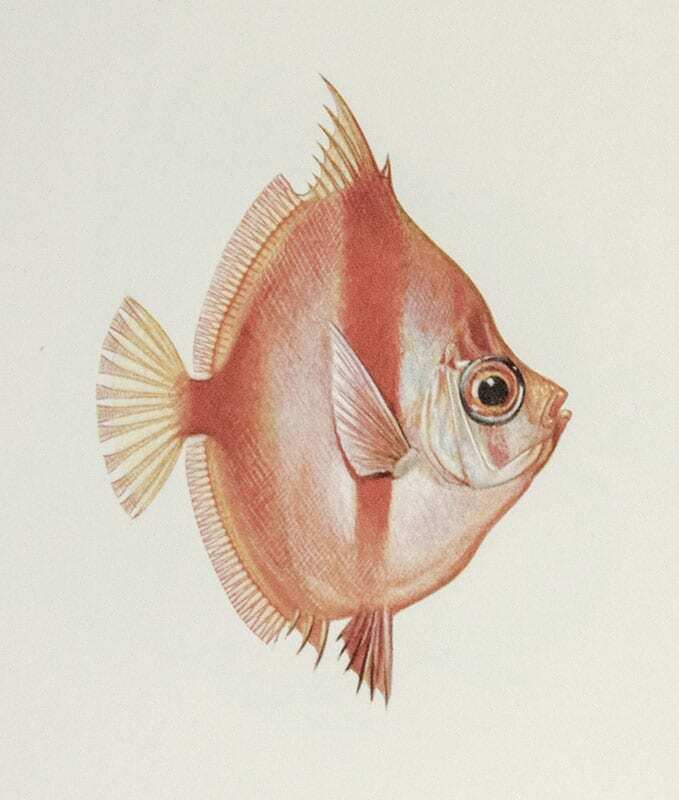 With an additional suite of 30 color plates after the original Belanske watercolors. One of 900 numbered copies and 400 produced in buckram, this is number 710. From the Adventure and Exploration collection of James Stephen “Steve” Fossett with his bookplate to the pastedown of each volume. American businessman and record-setting aviator Steve Fossett became the first person to fly solo nonstop around the world in 2002 in his 10-story high balloon Spirit of Freedom. He completed the 2002 trip in 13 days, 8 hours, and 33 minutes and set records for both the Longest Distance Flown Solo in a Balloon and Fastest Balloon Flight Around the World. Fosset was also one of sailing’s most prolific distance record holders set the Absolute World Speed Record for airships with a Zeppelin NT in 2004. He received numerous awards and honors throughout his career including aviation’s highest award, the Gold Medal of the Fédération Aéronautique Internationale (FAI), which he was awarded in 2002. Fossett disappeared on September 3, 2007 while flying a light aircraft over the Great Basin Desert, between Nevada and California. Fine in the original dust jacket. Housed in the original box. A sharp example with noted provenance. A member of the prominent American Vanderbilt family, William "Willie" Kissam Vanderbilt II was a skilled sailor and yachtsman. Already extremely wealthy from a trust fund and from his income as president of the New York Central Railroad Company, on his father's death in 1920, "Willie" inherited a multimillion-dollar fortune. In 1925, he traded his luxury yacht Eagle for ownership of Fisher Island, Florida, a place he used as a winter residence. 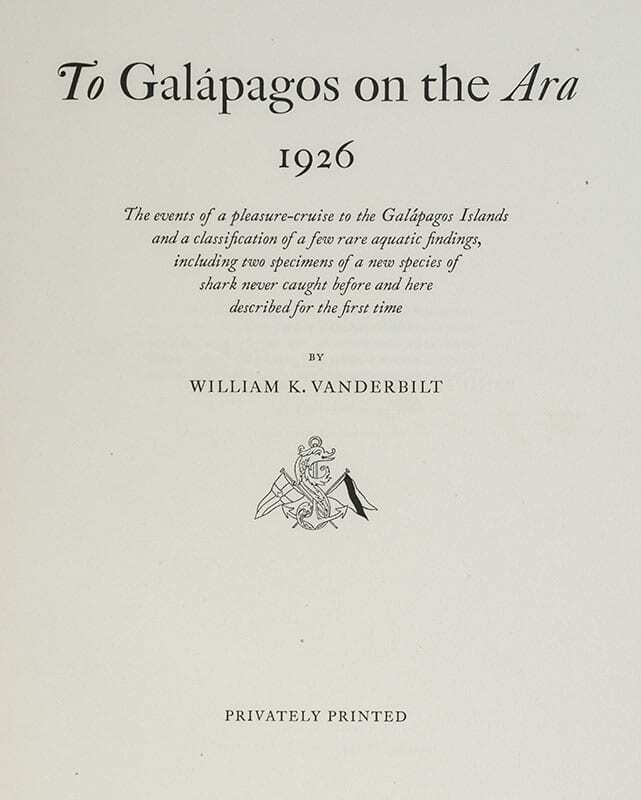 The present volume recounts the Galápagos portion of Vanderbilt's voyage around the world on the diesel yacht Ara, completed between October 25, 1928 and May 16, 1929. 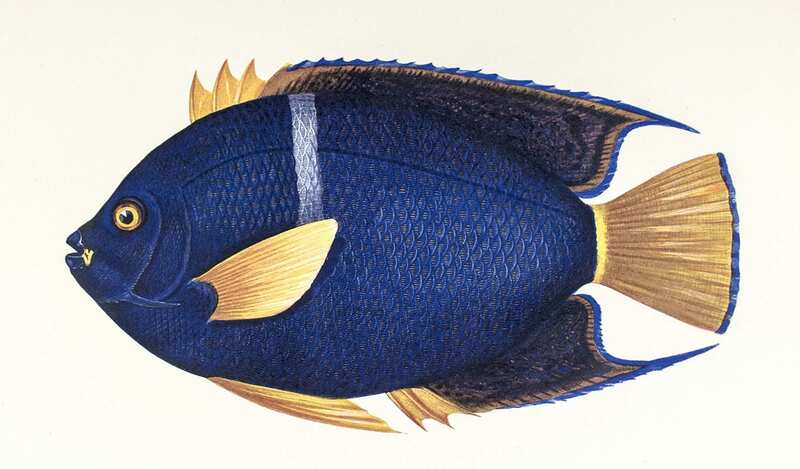 The entire voyage took Vanderbilt to Africa, Asia, Latin America, the Galápagos Islands and the South Pacific, where he collected thousands of specimens of invertebrate and marine life and birds, as well as cultural artifacts. Taking One’s Own Ship Around the World: A Journal Descriptive of Scenes and Incidents Together with Observations From the Log Books Recorded on the Voyage Around the World of the Yacht Ara. New York: Privately Printed by William Edwin Rudge, 1929. First edition of Vanderbilt’s account of his voyage around the world aboard the diesel yacht Ara. Folio, bound in the original brown buckram, gilt titles and tooling to the spine, top edge gilt, pictorial endpapers, illustrated with engravings after photographs by Wiliam E. Belanske, Pierre C. Merillon, Charles H. Thompson, and Vanderbilt and 18 color plates with lettered tissue guards after watercolors by William E. Belankse. 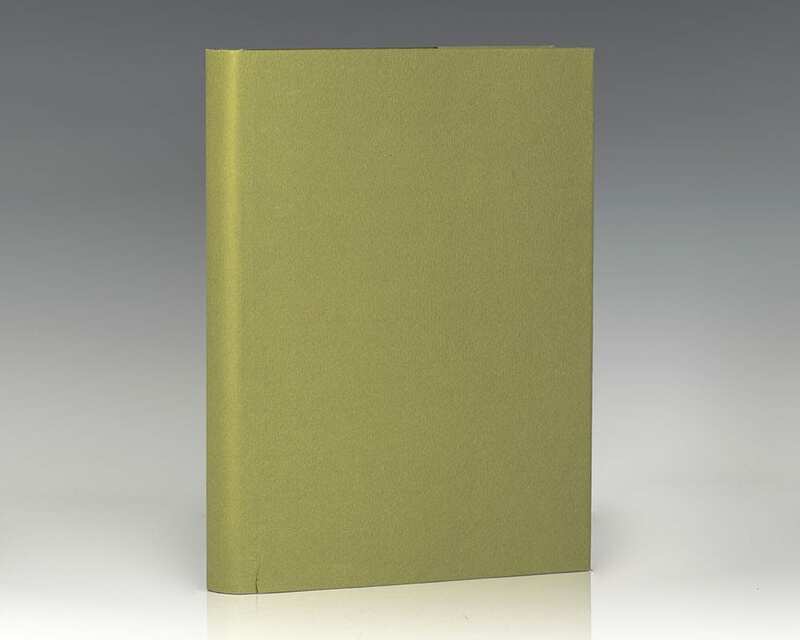 One of only 500 copies printed and 300 bound in buckram, this is number 437. From the Adventure and Exploration collection of James Stephen “Steve” Fossett with his bookplate to the pastedown of each volume. American businessman and record-setting aviator Steve Fossett became the first person to fly solo nonstop around the world in 2002 in his 10-story high balloon Spirit of Freedom. He completed the 2002 trip in 13 days, 8 hours, and 33 minutes and set records for both the Longest Distance Flown Solo in a Balloon and Fastest Balloon Flight Around the World. Fosset was also one of sailing’s most prolific distance record holders set the Absolute World Speed Record for airships with a Zeppelin NT in 2004. He received numerous awards and honors throughout his career including aviation’s highest award, the Gold Medal of the Fédération Aéronautique Internationale (FAI), which he was awarded in 2002. Fossett disappeared on September 3, 2007 while flying a light aircraft over the Great Basin Desert, between Nevada and California. In near fine condition. Rare and desirable with noted provenance. West Made East With The Loss Of A Day: A Chronicle of the First Circumnavigation of the Globe under the United States Naval Reserve Yacht Pennant. New York: Privately Printed, by Edmund Garrett, 1933. First edition, number 82 of 200 specially bound copies. 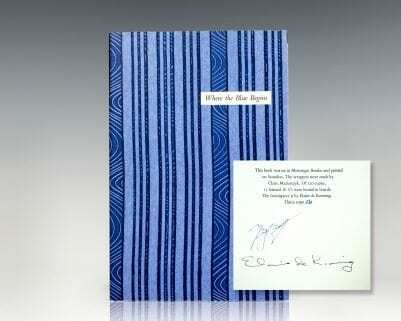 Quarto, original half blue levant morocco gilt over stamped boards, the upper cover with a motif of the Alva’s flag, illustrated endpapers, in original slipcase. Near fine in a near fine slipcase. Lavishly illustrated throughout by William Belanske. Flying Lanes: Being a Journal of a Flight Around South America and Over the Andes. New York: Privately Printed, 1937. First edition of Vanderbilt’s final book. Octavo, original cloth, illustrated with photographs. 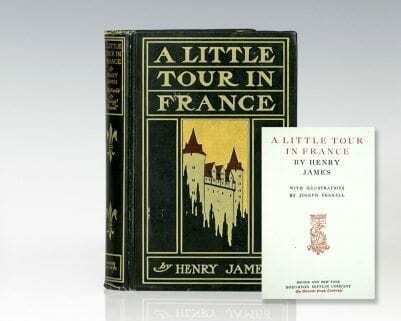 Near fine in the rare original dust jacket which is in very good condition.